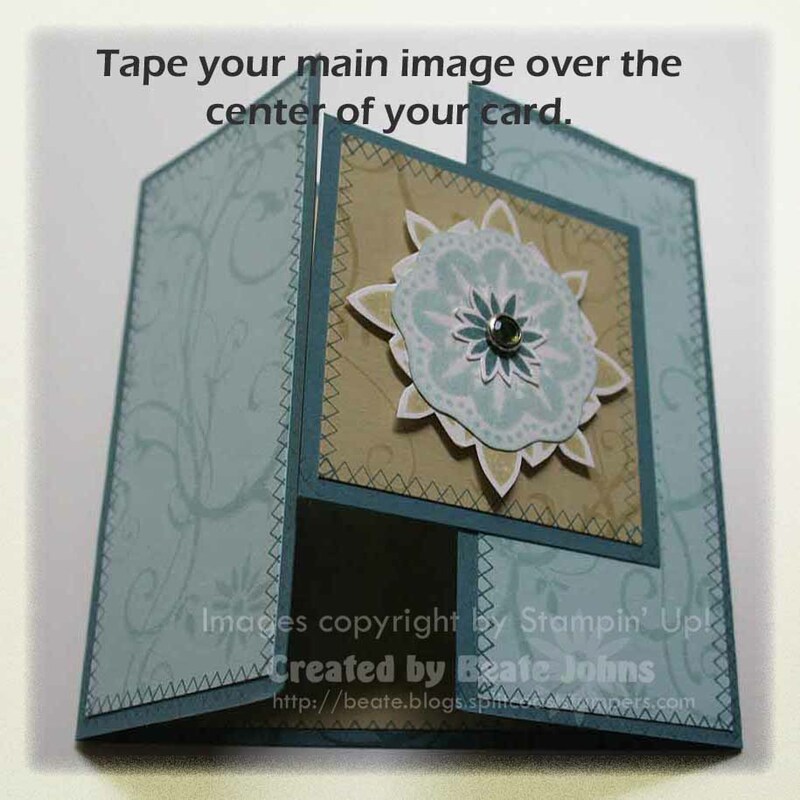 If you would like to see some step by step pictures on how to make this card, click on more. Score your 4 ¼” x 8 ½” piece of cardstock at 2 1/8” and 6 3/8”. 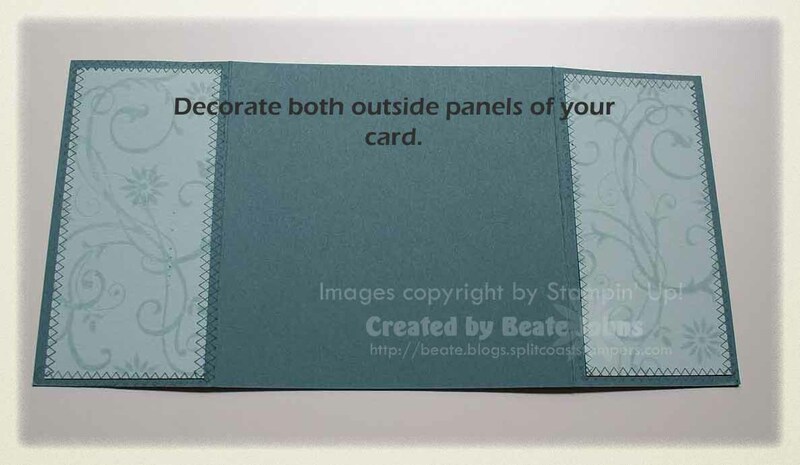 Decorate the inside of your cardstock. 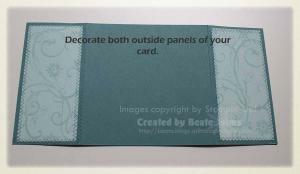 Decorate both of your 2 1/8” x 4” strips of coordinating cardstock and adhere to the outer panels of the card front. Step four: Create Center image. 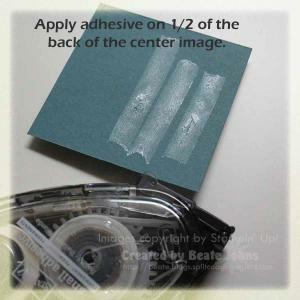 Add tape on one half back of the center image. 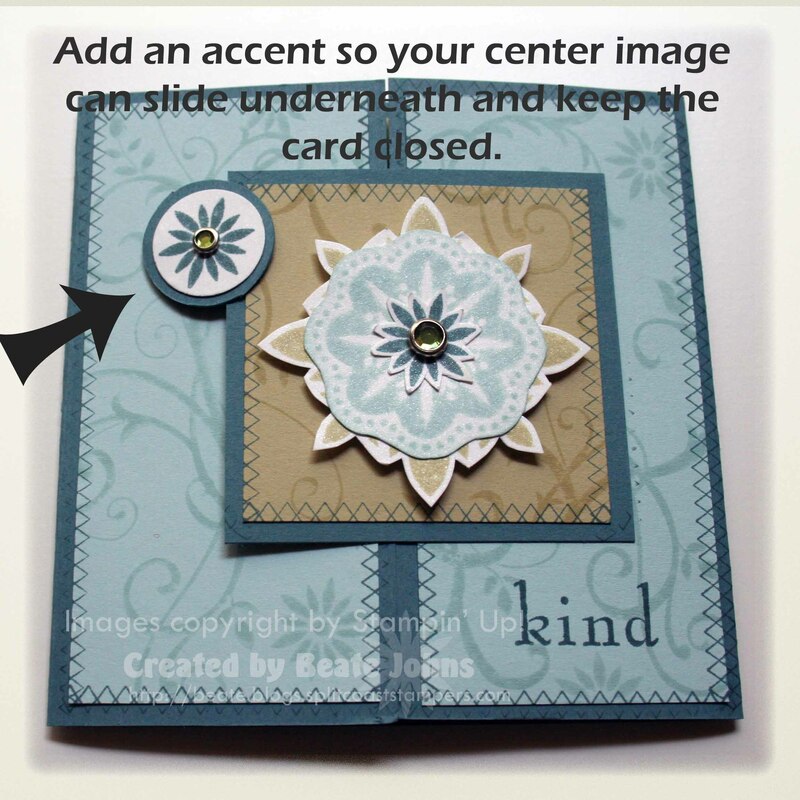 Step six: Adhere your main image over the center of your card. Add a little accent, overlapping your main image a bit on the side that is not adhered. 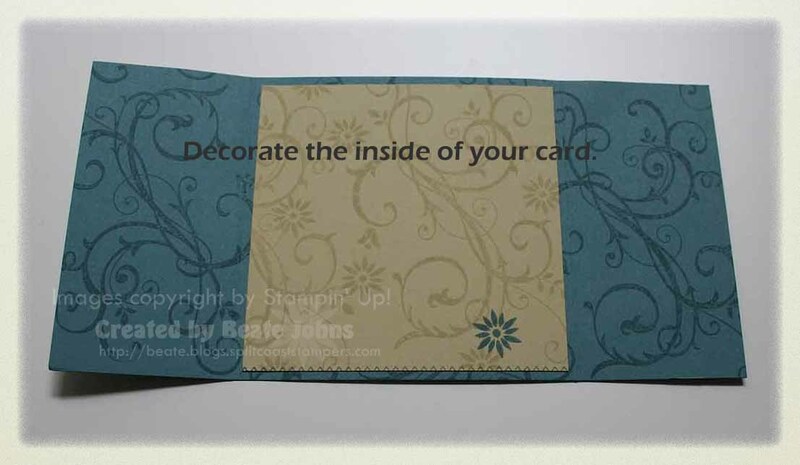 Slide main image under to keep the card closed. 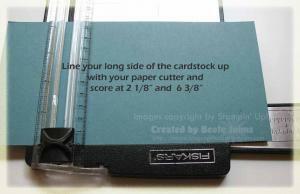 Always score the long side of your cardstock on width of panel, then flip cardstock over and repeat on opposite side. Yeah…your site is back up! I missed you and your wonderful projects! This is gorgeous! Love the colors and thanks for an awesome tutorial! Thanks for such a clear, concise tutorial – they help me so much! Put that All in a Row away!!! LOL! Girl, do you ever sleep? Love your Baroque card! You know I have to have order all in a row now! 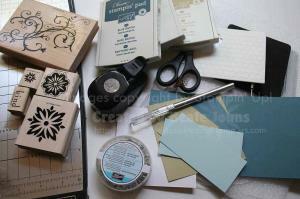 Not to mention every stamp set and paper that you used! Absolutely stunning, Beate! Love, love, love it!!! Wow, Beate… This card is simply stunning!!! So glad you are up and running again! Thanks for the tutorial on the card! I did one already but didn’t put that optional step to keep the card closed. Think I’ll have to go back and add something to mine now. Oh my, this is probably one of the best cards I have ever seen. It is truly beautiful. this is a beautiful card! thanks for the tutorial! 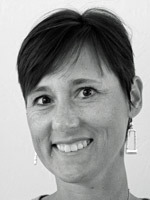 Absolutely breathtaking Beate! Love your colors and layout especially! Wonderful tutorial as always! Wonderful as always! What kind of camera do you use? You do such a great job and I love the shots you take! OMG! I wasgoing through withdrawal! Don’t ever leave again….gasp! 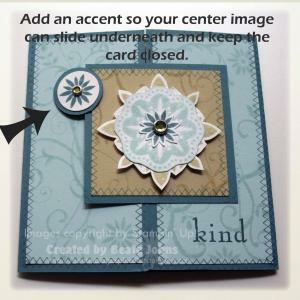 Love this type of card…will have to try it! 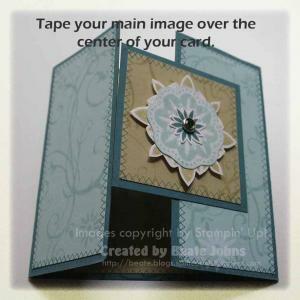 Beautiful card, I love it! I can’t wait to get me new SU! stuff. OH how absolutely breath-taking and gorgeous! I love it. Missed you yesterday. I love the card but love the tutorial with it. I was curious what the “inside” of these type cards looked like. Ok Its Time I really need to step up and try this Gate card challenge sometime today maybe .. Love your stuff girlie BUT you already know that HUH? Love it! The best card using the new stuff I’ve seen so far! Just one question… What is the outside (bottom layer) dimension for the center piece???? Thanks so much for going the extra mile (ten miles???) and doing the tutorial. I can’t tell you how helpful that is. Thanks again! 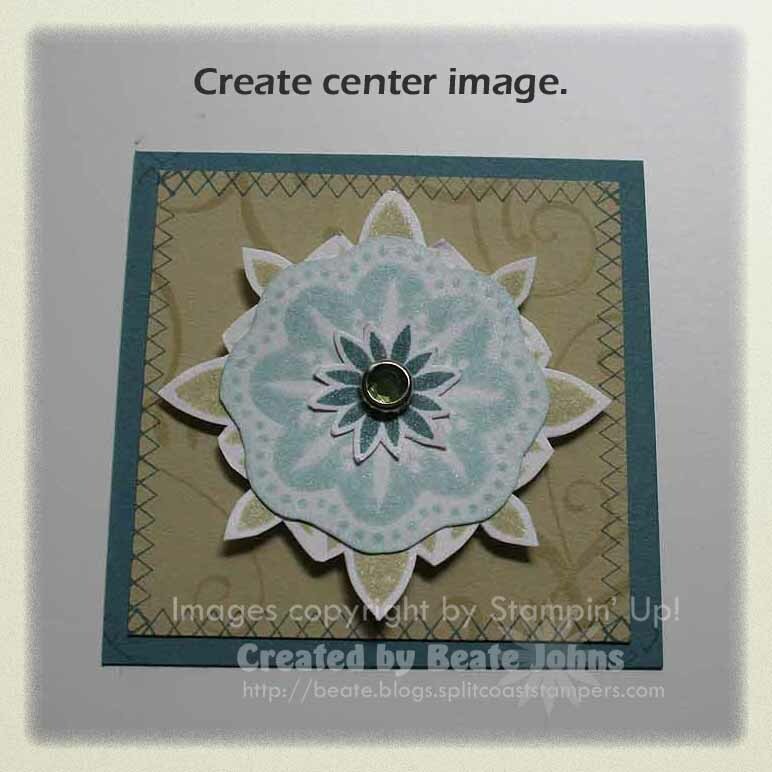 Elegant Card & thanks for the awesome tutorial Beate! Elegant, elegant, elegant!!! I love the colors, new stamps, and stamp pad colors, I even noticed the SU rhinestone brads!! Thanks for this wonderful tutorial, it’s much clearer to me now, and TFS. Love this card, and love all you’ve been doing with the new sets and All in a Row! Thanks for all the inspiration! Oh, this is absolutely beautiful! Love the colors, the images and the tutorial. You ROCK! This card is absolutely gorgeous! I LOVE the colors and that main image! You’re making me want that set that I thought that I could live without! PS Any chance you’re going to Stampfest in Orlando? It’s be cool to “meet” you if you were…just a thought! Couldn’t figure out what why I couldn’t get the pics…Thank you so much for sending this out! Love it. 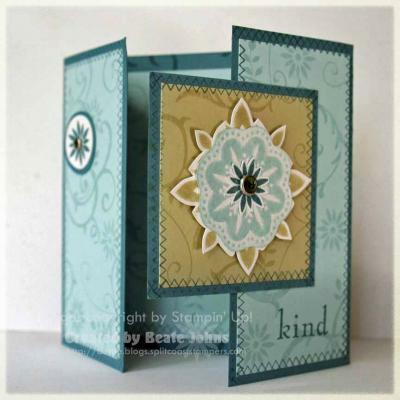 Can’t wait for my order to come in…..
Love this card and new stamps! WOW!!!!! I love every single thing about this card! It is just BEAUTIFUL!!!! WOW! I think my heart stopped for a second. This is GORGEOUS! Truly gorgeous! THanks for a great step-by-step on how to make these!